Bishop Larry J. Dennison has been preaching the Gospel of our Lord and Savior Jesus Christ since 1978. He founded Compassionate Outreach Ministries in June 1985 and has served as pastor since that time. Bishop Dennison proudly acknowledges that he is a “PK” (preacher’s kid), and the seventh child born in the union of the late Rev. Curtis L. Dennison and the late Mrs. Virginia Gloster Dennison. Bishop Dennison has been happily married to his illustrious wife, First Lady Margaret Dennison since February 4th, 1978. They have two beautiful children, Shawndria and Jonathan. He is indeed a faith-based, dedicated leader with God’s anointing on his life. 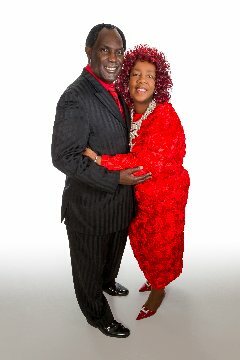 The Bishop teaches and demonstrates how God wants a man to be the head of his family and to be a leader and provider. 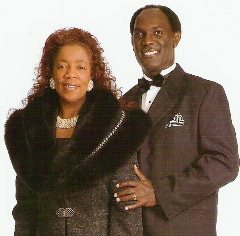 He has received his Bachelors, Masters, and Doctorate degrees in Ministry. He is a Certified Pastoral Addiction Counselor, a Licensed Christian Marriage & Family Therapist, and a registered Pre-Marital Preparation Course Provider. Bishop Dennison’s preaching, teaching, and leadership goes beyond the pulpit platform or the conventional four walls of the church as he brings a message of service and outreach to those who are in need of guidance and spiritual intervention in their lives. The Ministry has allowed him to travel extensively. He has shared the Gospel of Jesus Christ in convalescent homes, prisons, parks, hospitals, street corners, private homes, on television including the TBN (Trinity Broadcasting Network), radio, internet, and to churches of diverse denominations. His preaching, teaching, counseling, love, and prayers have brought deliverance to many. In addition to serving as the pastor of Compassionate Outreach Ministries, Bishop Dennison also oversees several pastors and churches. Author of "The Doctrine of Salvation," a book which provides a simple explanation of the greatest gift ever given to man - salvation. The book is available by contacting Compassionate Outreach Ministries.